Party Energizers has earned its fame in making events more entertaining and successful through their event planning and entertainment services. Now, you can just hire Party Energizers full services of partial services for every kind of events, hire photo booth services, DJ Services, videographers or photography services all over the Unites States. We have enough Photo Booth Operators, DJs, Photographers as well as videographers who can work at your location as being event planners we have a high valued name in this industry through quality work and professional skill set. Our professional staff maintains quality and innovated just to offer you and your guest an outstanding photo booth experience, more exciting night with DJ, more memorable moment with videography and most loving keepsake images through photography. 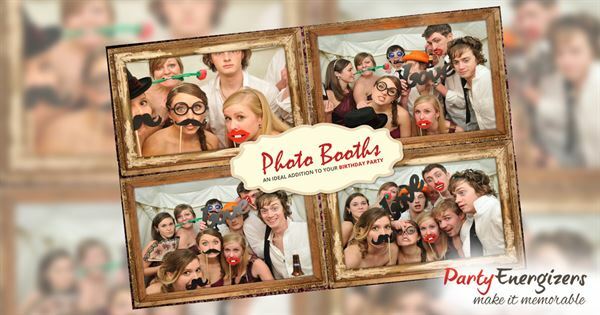 We provide exceptional photo booth services for weddings, parties and corporate events at 50 % off. Lets make the events memorable by adding photo booths, Party Energizers is the best photo booth rental company located in Los Angeles, United States. We provide high-quality photo booth rentals on a 50% discount rate for weddings, corporate events, parties and all kind of special occasions. We are proud to share the love with Los Angeles and look forward to provide some great photo booth experience! At Party Energizers, we are committed to offer you great quality DJ services for all kind of your special occasions such as wedding, bat mitzvah, birthdays, lunch or dinner parties, corporate parties, new product launches, fundraisers or other corporate events. The company strives to provide finest DJs to make your event memorable and make your party rock! I booked a booth for my wedding and Party Energizers were fantastic from start to finish. With great functionality, photo booth itself was amazing with a load of great props to make the night one remember. I would highly recommend them to other couples to book them for the wedding. We have hired out photo booths to many parties since we moved to LA. On top of that, we have had the pleasure of working with the best attendant of Party Energizers who were very professional in their dealings. We would definitely recommend them to others.